Prior to her fateful journey in Synergy, Wai Siew Hong has been working in the Health and Environmental industry, selling medical and environmental products. But a fateful encounter led her to Synergy, and her life changed for the better. Having troubled by sensitive skin, she sought after medical advices from a family doctor. He recommended ProArgi-9 Plus. Siew Hong was intrigued by the many health benefits ProArgi-9 Plus can bring, and she decided to study further. She met up with Joe Lee and Leong, among other distributors in Malaysia, and she learned in greater details about the ProArgi-9 Plus. That spearheaded her journey in Synergy, and she never looked back since. She's been actively promoting Synergy's products such as ProArgi-9 Plus and SLM Meal Shake, and she receives positive responses. "ProArgi-9 Plus is one of the most unique products by Synergy WorldWide," she said. "It's listed in the Physicians' Desk Reference, and that's a huge selling point!" 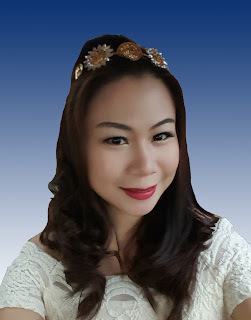 From small meet-ups, health forums, and large seminars, Siew Hong patiently worked with her team of passionate downlines. With the help from her sponsors and uplines, she is advancing steadily in her Synergy business. "My sincere gratitude to Joe Lee, Leong, Alex Boh and Philip for all the support though out my journey." Now, Siew Hong and her team are taking a leap of faith, crossing boundaries to uncharted markets, such as Hong Kong, Indonesia, and China. "I have faith in Synergy's products, because the products speak for themselves," she said. Her most recent achievement as Team Leader is merely a beginning of many good things to come in Synergy. "Set up to help whoever in need. We have one of the most wonderful food and health supplements in the world, backed by science and technology," she said. "You reap what you sow. Sincerity is key to the business. Help others, and your business will definitely grow leaps and bounds."